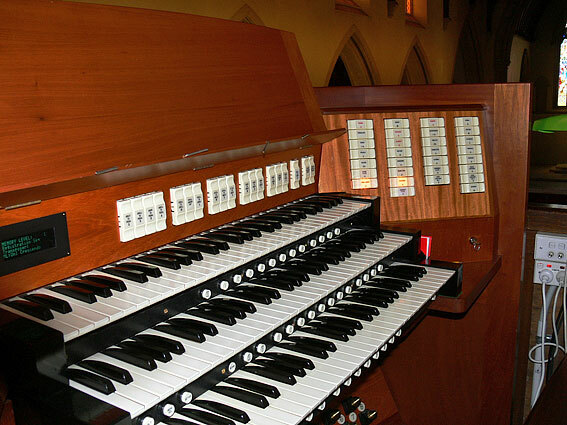 First organ, mov. 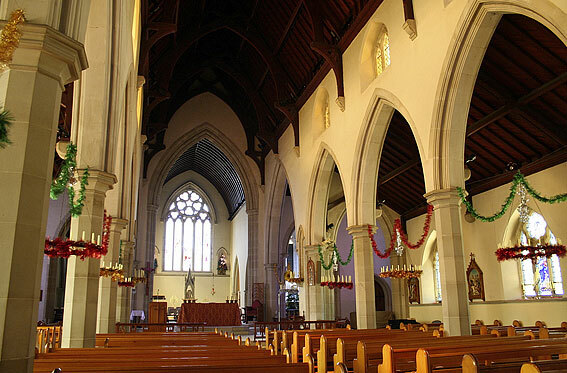 to Sacred Heart Catholic Church, New Town. inst. 1895 present loc. 3m., 27 sp.st., 9c., tub.pn. reb. 1966 Geo. Fincham & Sons. 3m., 31 sp.st., 14c., el.pn. Ren 2007-2009 Wakeley Pipe Organs with minor additions. 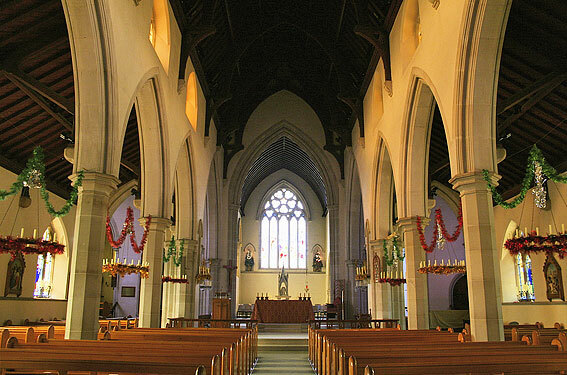 St Mary’s is a sandstone Gothic Revival church designed by Henry Hunter, consisting of a nave, side aisles, transepts, sanctuary and a vestry. 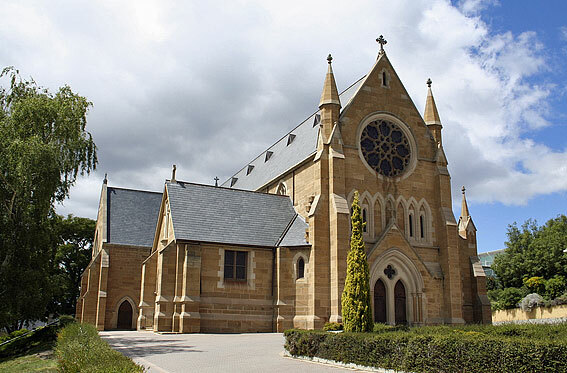 The building forms an outstanding group with adjacent St Mary’s College. 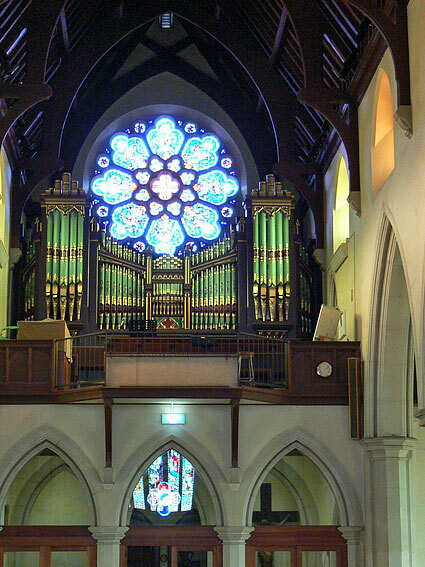 The organ at St Mary’s Cathedral, Hobart was built in 1893 by Fincham & Hobday. 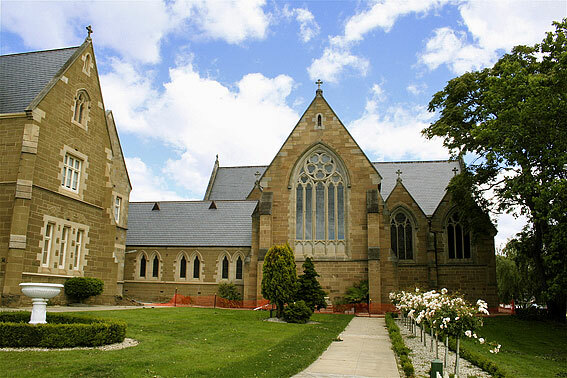 It was erected in the Hobart Exhibition Building in December 1893 by George Fincham although the opening of the main building of what was termed the International Exhibition of Industry, Science and Art had taken place earlier on 13 November 1893. The Exhibition itself was opened on 15 November 1894. 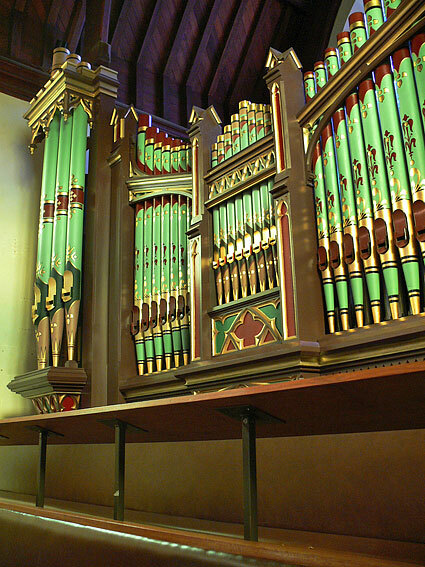 The organ was placed in an alcove above the orchestral platform and choir seats and won a first prize; it was widely used for concerts before being installed in the Cathedral in June 1895. The temporary Exhibition Building was shortly demolished and no trace of it remains. 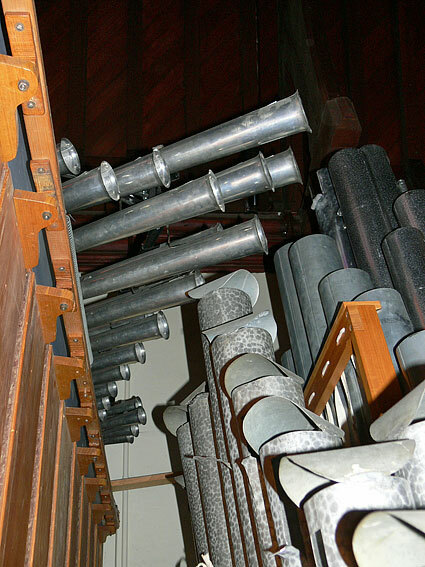 The instrument was built with sliderless windchests: these were used by the firm for several organs at the time and only one organ is known to survive with this feature - at the Uniting Church, Carngham, Victoria. Unfortunately while these chests were easier (and probably cheaper) to construct than slider chests, they proved not to be reliable and their use was quickly discontinued. 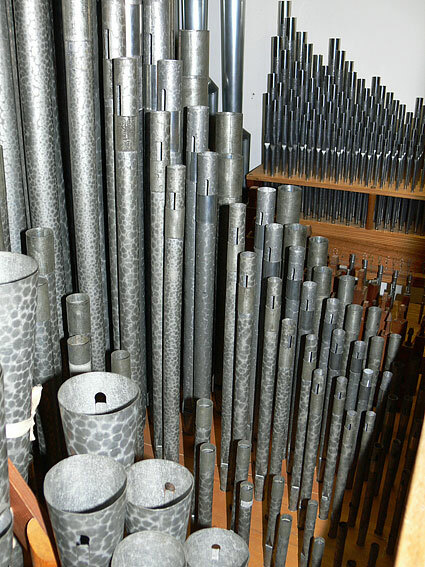 In 1934, the St Mary’s organ was rebuilt by Hill, Norman & Beard (Australia) Pty Ltd, in 1957 by Keith Davis, Launceston, Tasmania and in 1966 by George Fincham & Sons Pty Ltd at which time new manual windchests were made with an individual action and pallets to each pipe. 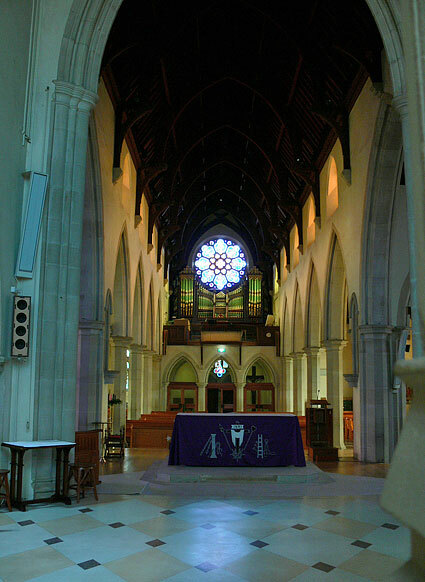 A major rebuilding and enlargement was carried out in 1986 by S.J. 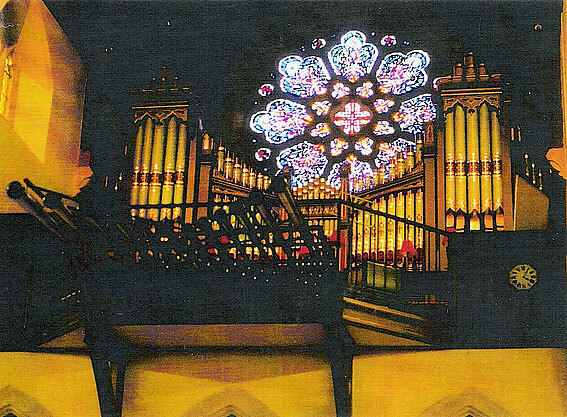 Laurie Pty Ltd. At this time a new slider chest was made for the Great Organ, a new detached console with illuminated stopkeys was provided, and major tonal additions were made. 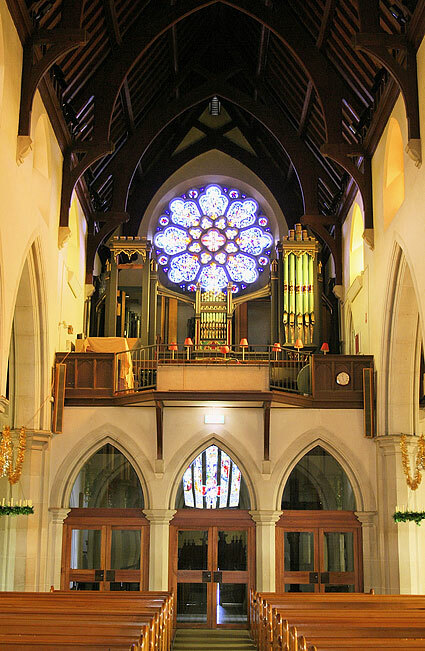 The organ has now received a complete refurbishment by Wakeley Pipe Organs Pty Ltd and this was completed in December 2009. 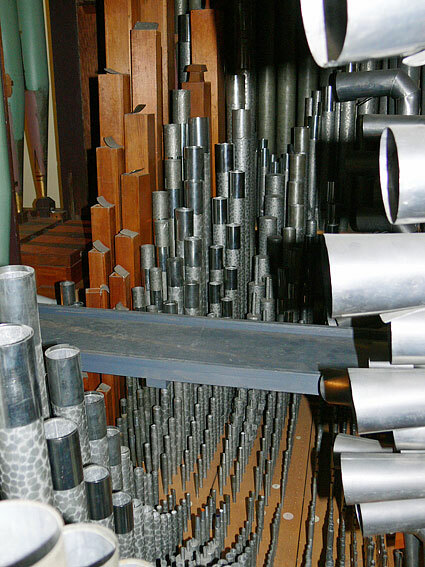 The work consisted of fitting new switching and combination actions and new stopkeys to the console, the addition of several softer registers, the removal of the horizontal pipes of the Tromba Pontificalis to inside the organ case, and re-regulation, especially of the 1986 additions, to blend more satisfactorily with the whole. 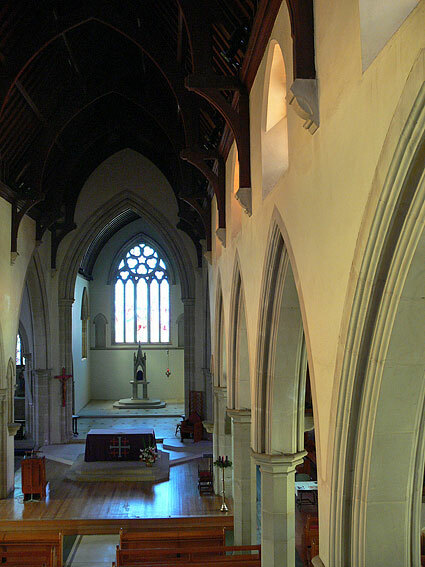 The carpet that previously covered all of the floor surfaces in the Cathedral has now been removed, with a markedly improved acoustic and the organ benefits greatly from this in terms of its projection. Information on the Exhibition from The Exhibition; a centenary celebration of the Tasmanian International Exhibition 1894-95. Hobart: Tasmanian Museum and Art Gallery, 1994.